Michael Longyear has over 25 years of experience helping clients make important decisions regarding their personal and estate planning, guardianship proceedings, probate and trust administration, as well as elder law issues. He also devotes part of his legal practice to related real estate and business organization management matters. Michael values the opportunity to educate his clients about proactive planning and personal decision making. Michael enjoys helping clients to solve complex problems and to meet the goals of individuals, couples and families. Taking a big picture approach toward his clients’ planning needs, Michael works with clients about their best options and opportunities in order to select a tailored course of action. Michael has been recognized as a 2012 Super Lawyer by Washington Law & Politics Magazine, as well as a Super Lawyer in 2001-2010 and 2014-2016. He was also named Seattle Best Lawyer in 2001 and 2003 by Seattle magazine. Michael received the Highest Possible Peer Review Rating in Trusts & Estates from Martindale-Hubbell for being rated AV Preeminent by his peers. 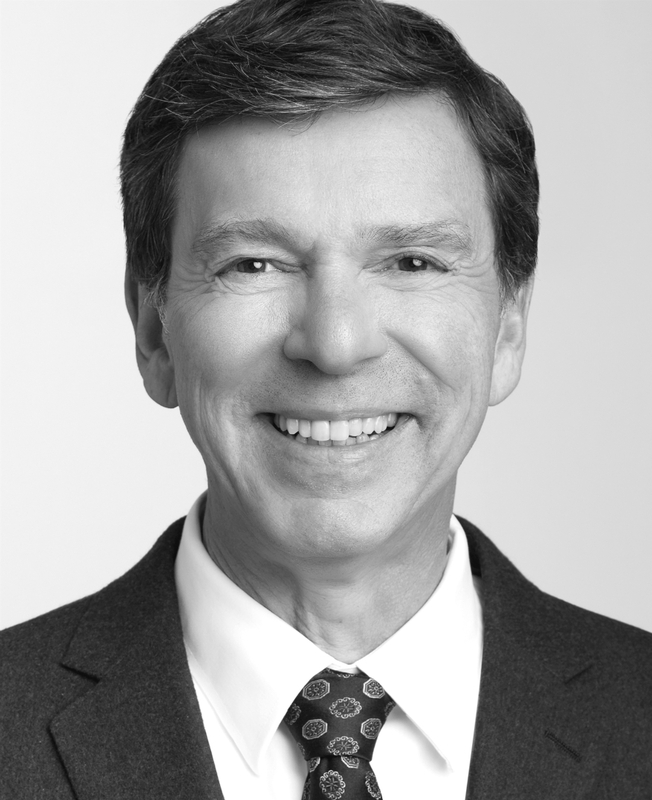 He is a Children’s Legacy Advisor at Seattle Children’s Hospital and Research Foundation, a member of the Estate Planning Council of Seattle, as well as a member of the Washington Planned Giving Council, and North West Family Business Advisers. Michael is on the Executive Committee for the Real Property, Probate & Trust section of the King County Bar Association (KCBA). Michael is also currently a member of the Executive Committee and Co-Chair of the CLE Committee for the Washington State Bar Association’s (WSBA) Elder Law section. He is Past-Chair of the Elder Law Section of the Washington State Bar Association and served on the Executive Committee from 1999 to 2008. He previously served on the executive committee of the Real Property, Probate and Trust Section of the Washington State Bar Association. He has been recognized for his experience in the area of guardianship and served on the Washington Supreme Court Certified Professional Guardian Board from 2001 to 2008. He is a Certified Professional Guardian and serves as guardian of the estate, trustee, and estate administrator in routine and contested matters. He is a Past-Chair of the King County Bar Association Guardianship and Elder Law Section, and is a Past Co-Chair of the Title 11.88 Mandatory Guardian ad Litem Training Program. He is a past Co-Chair of the King County Settlement Guardian ad Litem (SPR 98.16W) Training Program. “13th Annual Probate Administration”, Co-Chair, King County Bar Association. October 2017. “Personal Estate Planning for the 99%”, Program Chair, King County Bar Association. April 2017. “Advising and Advocating for Your Elder Practice Clients: Emerging Issues to Address”, Program C0-Chair, Washington State Bar Association. March 2017. “12th Annual Probate Administration”, Program Co-Chair, King County Bar Association. October 2016. “Advising Clients on Retirement and Long-Term Care Planning”, Program Co-Chair, Washing State Bar Association. September 2016. “Probate Litigation: Non-TEDRA Causes of Action and Alternatives”, Program Co-Chair, King County Bar Association. May 2016. “Personal Estate Planning for the 99%”, Program Chair, King County Bar Association. April 2016. “Navigating Elder Law Systems: Advising Clients in a Complex World”, Program Co-Chair, Elder Law Section, Washington State Bar Association. March 2016. “11th Annual Probate Administration”, Program Co-Chair, King County Bar Association. November 2015. “Maintaining A Balance: Ethics and Probate Litigation”, Probate Administration, Program Co-Chair, King County Bar Association. August 2015. “Tax and Planning Issues to Consider”, Estate Planning for the 99%, Program Chair, King County Bar Association. April 2015. “Emerging Issues in Guardianship”, Advanced Guardianship Issues, Program Co-Chair, King County Bar Association. April 2015. “Probate Guardian ad Litem and SPR 98.16 W”, Probate Administration, Program Co-Chair, King County Bar Association presentation. November 2014. “Issues regarding Mistreatment of Elders and Vulnerable Adults”, Elder Friendly Futures Conference, Program, University of Washington. October 2014. “Community Property Issues to Consider in Estate Planning”, Estate Planning for the 99%, Program Chair, King County Bar Association. April 2014. “Probate Guardian ad Litem and SPR 98.16 W”, Probate Administration, Program Co-Chair, King County Bar Association. November 2013. Estate for the 99%, Program Chair, King Country Bar Association. May 2013. Probate Administration. Program Co-Chair, King Country Bar Association. November 2012. “Legislative and Case Law Update”, Title 11 Guardian ad Litem Training, Presentation, King County Bar Association. April 2012. “Administration of Insolvent Estates”, Probate Administration, Program Co-Chair, King County Bar Association. November 2011. “Managing the Settlement”, Settlement Guardian ad Litem (SPR 98.16 W) Training Program, Presentation, King Country Bar Association. October 2011. “Caution: Avoiding Conflicts of Interest”, Ethical Issues in Elder Law Practice, Avoiding Elder Law Malpractice/Ethical Violations, Washington State Bar Association, Presentation. July 2011. “Public Criticism of Professional Guardians”, CPG Spring Training, Washington Association of Professional Guardians, Presentation. May 2011. “Legislative and Case Law Update”, Title 11 Guardian ad Litem Training, Presentation, King County Bar Association. May 2011. “Unique Fiduciary Duties/Challenges in Probates, Powers of Attorney, Trusts, & Guardianships”, Advanced Issues in Elder Law: So You Think You’re a Fiduciary, Co-Presentation, King County Bar Association. March 2011. “Best Practices When Serving as a Professional Trustee or Guardian of the Estate”, Elder Law Best Practices, Presentation, Washington State Bar Association. January 2011. University of Pittsburgh School of Law, 1983 J.D.